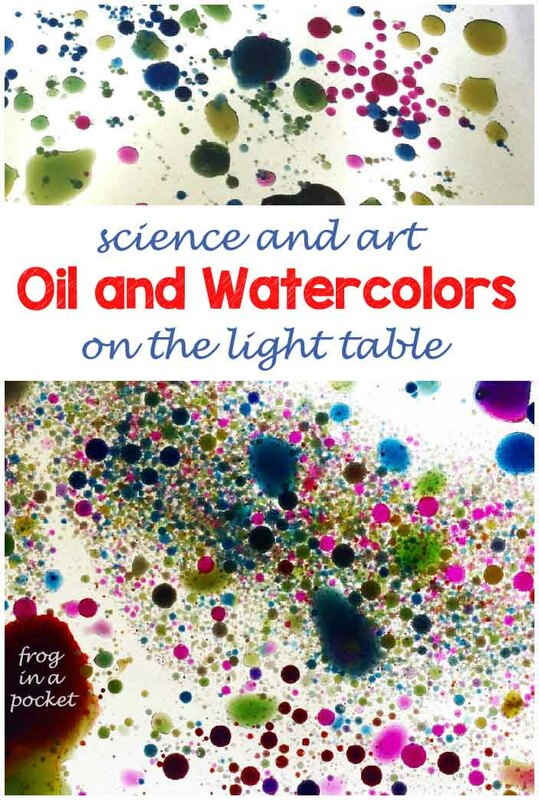 Longer days and short evenings mean a lot of time outside for us, and a lot of time in the cupboard for our light table ;) But this month's transportation theme for Light&Reflection Series gave us a chance to use it again! 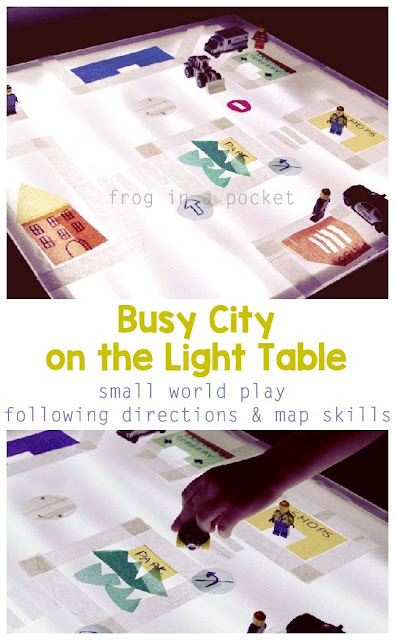 I set up a busy city on the light table - great for small world play, practicing some map skills and following directions. I used masking tape to make the roads and pedestrians crossings of our city map and added some buildings made of laminated tissue paper. We had the shops, doctor's surgery, police station and jail, king's castle, park and our house. I added some cars and Lego figurines. 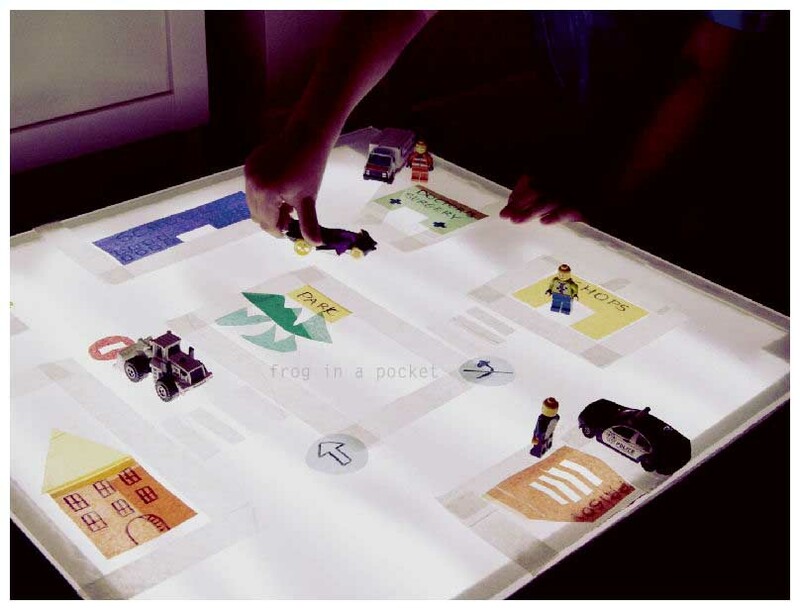 All that created great light table small world play. 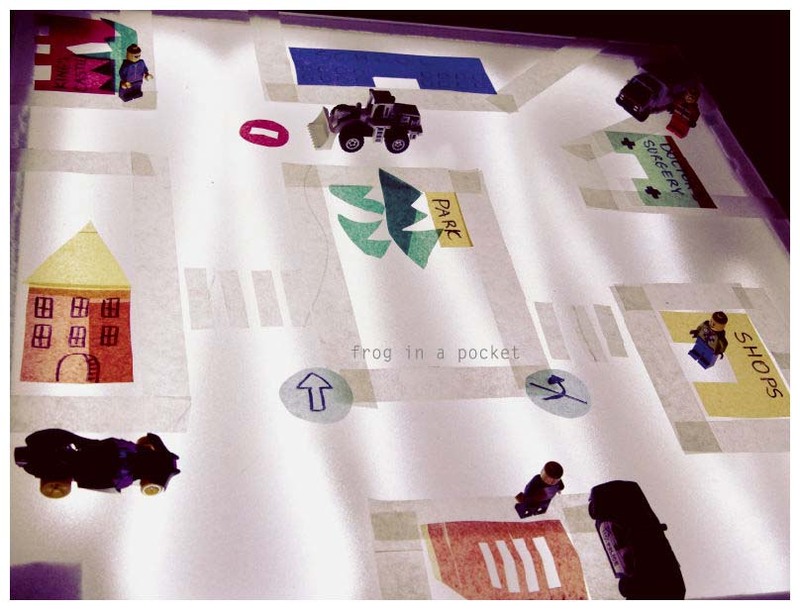 Mr Frog enjoyed building the stories around the cars - an accident on busy roundabout where police and ambulance were engaged or trip to the doctors through the roads packed with traffic. 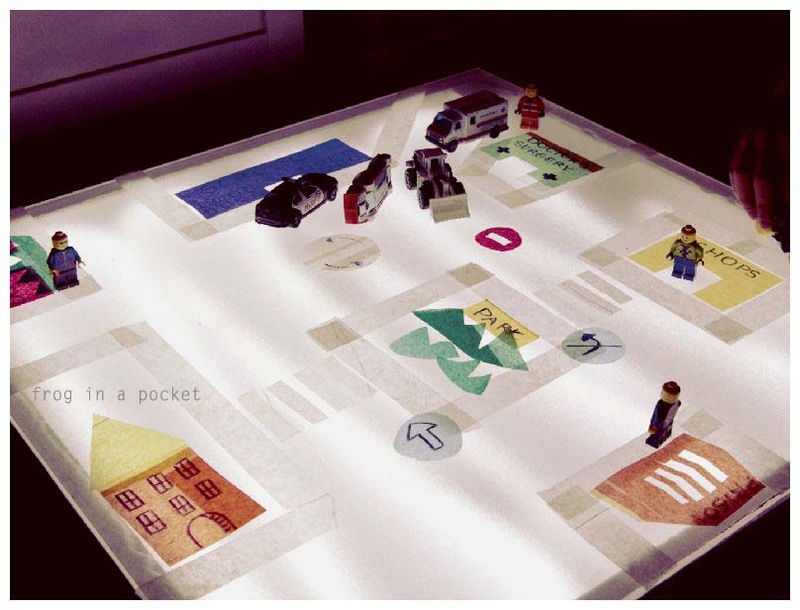 The aim of this small world scene was not only play but also practicing basic map skills and following directions. - recognizing the cardinal directions(locate some points on our busy city map - the jail is on the south, King's Castle the northwest).